A couple of weeks before Christmas I was in a dollar store and on a whim bought macaroni and cheese. Now, normally I am brand loyal when it comes to certain foods and one of those foods is mac & cheese. Strange thing to be loyal to? Perhaps. 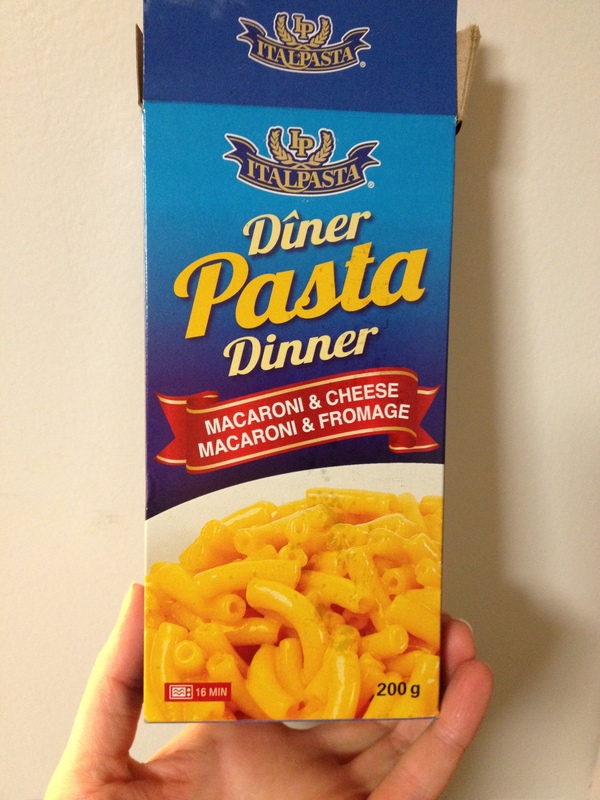 But hey, why stray from buying Kraft Dinner when you know it tastes so good? But there I was, at the dollar store, hungry, faced with mac & cheese that was going to cost practically nothing and so I decided why not? How bad can it be? I didn’t eat it that night, just stuffed it in the back of a cupboard and forgot about it. Well, tonight I came across it and decided, meh, why not? 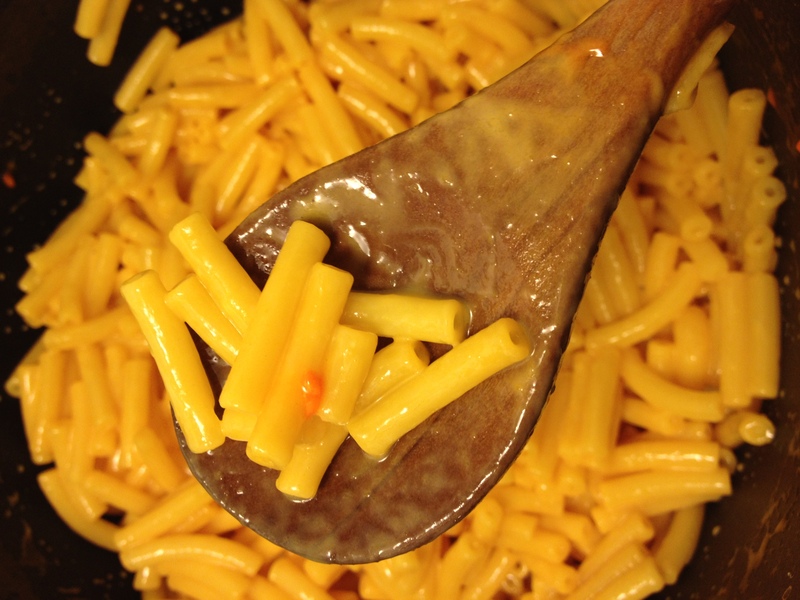 KD has that bright, artificial orange colour when all mixed together, this was more a pale yellow which made me suspicious about the flavour of the final product. Not quite the bright orange I was expecting.